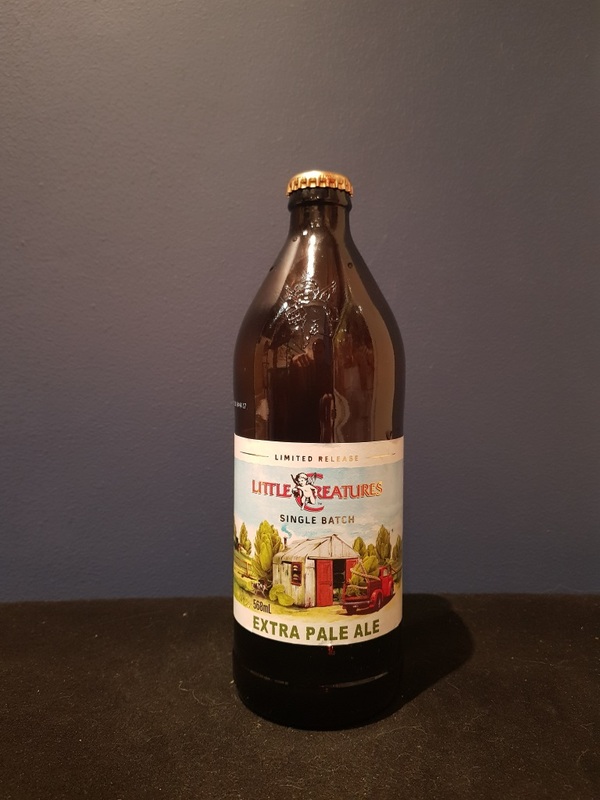 Beer #2818 is a pale ale brewed by Little Creatures in Fremantle, W.A., Australia. An almost chewy pale ale, with toffee, malt and a hoppy fruitiness. There’s an astringent bitterness to it but it adds rather detracts from it, making it stand out a little. The bottle size is 568ML with an alcohol content of 6.50% (containing approximately 2.90 AU / 3.70 UK standard drinks), and it costs $9.99.